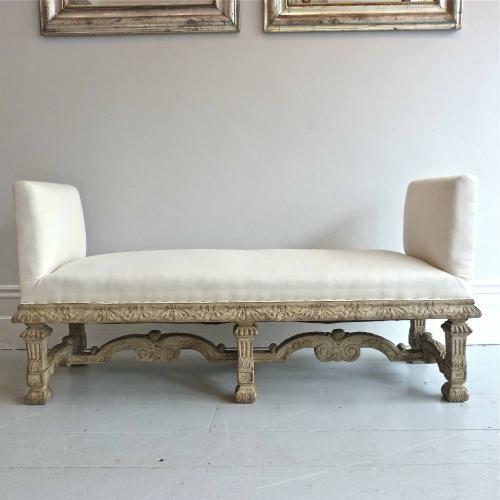 An exquisite 19th century Italian daybed, richly carved in the baroque style. At just 4ft 6in wide this incredibly decorative and practical piece of furniture would suit a number of situations within the home, including the foot of a bed or in a bay window. Ready to be upholstered in a beautiful fabric of your choice. Circa 1840.